It was about two weeks back when I had to stay in Wangsa Maju with my beloved Kak Lek, as I have to clock in early for work in KL area and we decided to watch US. She was so looking forward to watching the movie just because Lupita Nyong'o is in it. Whereas, I just want to know what or who the heck are those doppelgängers because the trailers really got me interested. 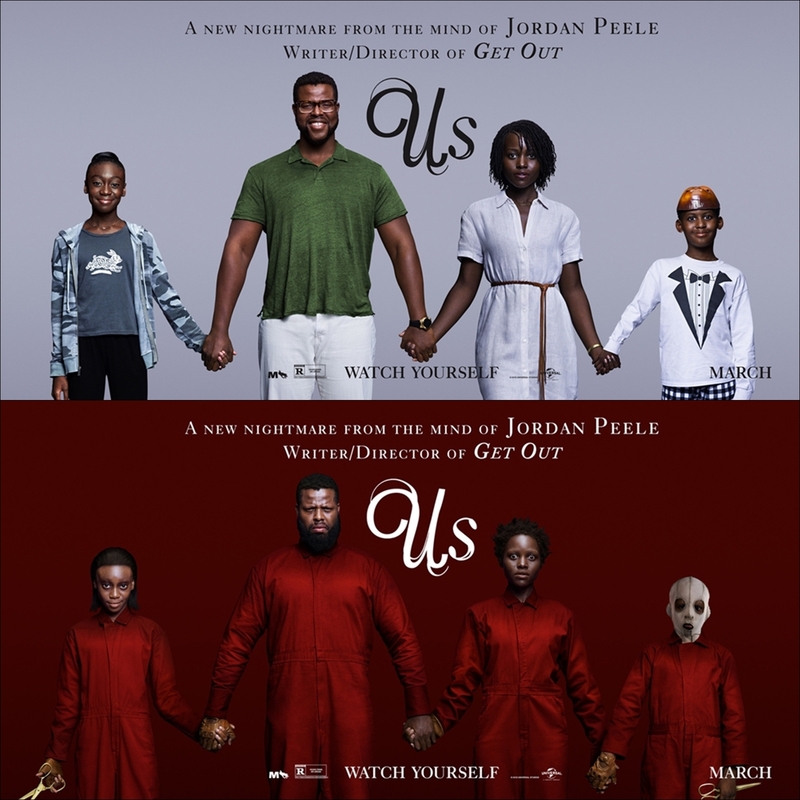 With a $71m weekend box office take, it became the highest grossing original horror film opening ever, to its release (22 March 2019). In 1986, young Adelaide gets lost and enters a funhouse at a funfair when she was vacationing with her parents in Santa Cruz. At the funhouse, she encounters a doppelgänger. Then she went home, apparently traumatized by the experience and has difficulty to talk after that experience. All grown up, Adelaide brings her family to her family's beach house in Santa Cruz for holiday. Still traumatized by her experience when she was younger, Adelaide was not really looking forward to the holiday. Her husband, Gabe, is however so eager to enjoy the time off and just recently bought a boat, just to impress their friends, the Tylers. 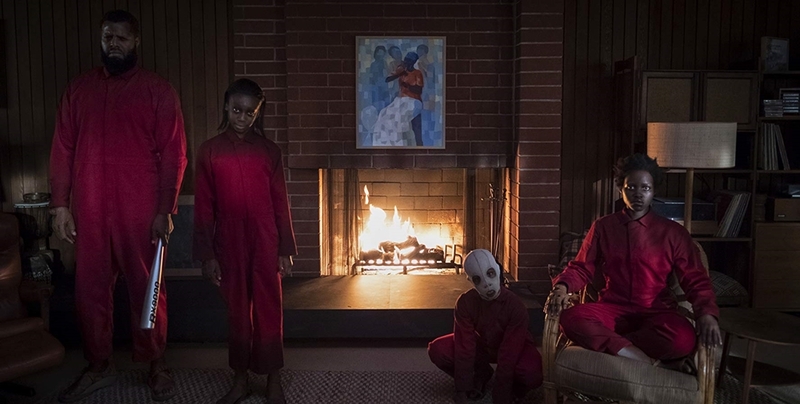 That night, a strange family of four appears and attacks her family. Inside the house, the Wilsons realised that these intruders are doppelgängers of themselves. Red, the only doppelgängers that speak, shares the story of their origin and the reason for them coming out of the shadows. Determined not to be captured by the doppelgängers, the Wilsons combined their wits, skills and brute to fight and be free. Slowly, the Wilsons realised that their family is not the only ones that are taken over, but in fact, the whole world is. Who are the doppelgängers and why are they taking over the world? Will one ever be freed from one's shadow? MY REVIEW Plot: 4.8/5.0 Oh My! Kak Lek curses throughout the movie as it was so intense. The plot is heavy and intense and I dare not to even blink so that I will not miss any point of the movie. Oh. And it is scary as hell too because it is human that does the unthinkable crimes. Cast: 4.9/5.0 Everyone did their part justice, and more. Up to a point that I think that the actors are really scary, to even have mastered their parts. Will I watch it again: I will, with the lights on. Hey there, where can I subscribe to your posts? hehe.. good tht you watched this as we not yet. Busy mom life now seldom to go movies, yeah even night has got tuition too! I need some time off for myself, movie and popcorn will be great. Another horror movie review. haishh. But this doppleganger thing reminds me of The Vampire Dairies series lol. but at least, thats vampire hahah. oh.. i'm scared of horror movie... great to read up ur review though.. nice one..
Ni filem seramkan kita tengok thriller jer baru tapi kisah macam orang yang wajah hampir sama dalam satu rumah dan menjadi misteri tak tahu itu yang kita baca lah nanti Rawlins bawa kita tengok movie ni kat panggung ok hehehehe..
Takotlah nak tengok sensorang. Nanti teringat-ingat. Lama betul tak pergi tgk movie semanjak janda ni. Ehhhh. Baru nak tgk trailer. Hehe. Hahaha after I read thru the intro, somehow i just wish to know what happens next. So means I need to watch this later. last tuesday also I do look over the screentime but I don't know what is 'US' so I've decided not watching movie at all! So sayang! Tengok poster je dah nampak sesuatu. Buat kita tertanya-tanya apa sebenar yang dah terjadi. Tu belum tengok trailer. Belum lagi tengok movie dia. Nanti kena adakan me time untuk diri sendiri. Suka betul baca r3view filem kat blog rawlins. i suka je tengok cerita2 seram macam ni, tapi partner i tak suka hahah. so kalau nk tengok cerita ni kena ajak kawan la. alaaa tak sempat nak tengok lagi filem us ni. agak agak sempat tak tengok lagi filem ni kat panggung wayang? 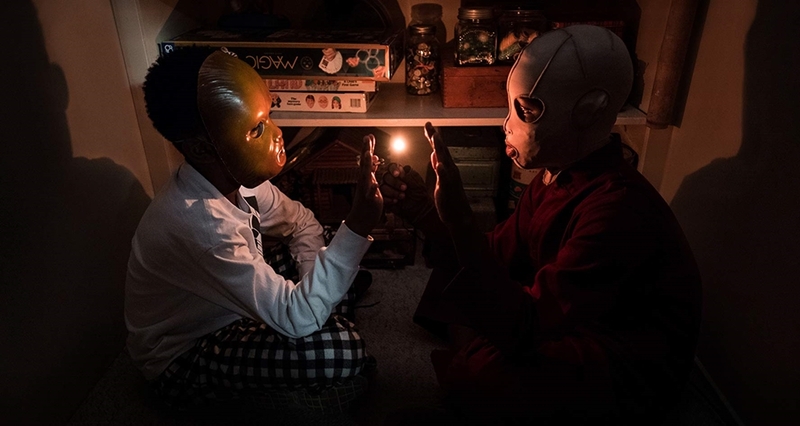 minat dengan hasil karya jordan peele ni. lagi lagi filem get out tu. Mouse mommy not fancy scary movie. Looks scary!! !